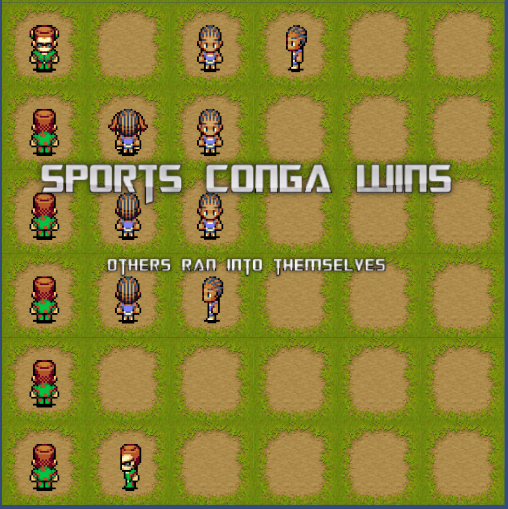 Welcome to Conga Line Combat a computer simulation of an imaginary board game based on the computer game snakes. The game takes place on a 6 by 6 board and is a battle between a team of sports stars and an army platoon. 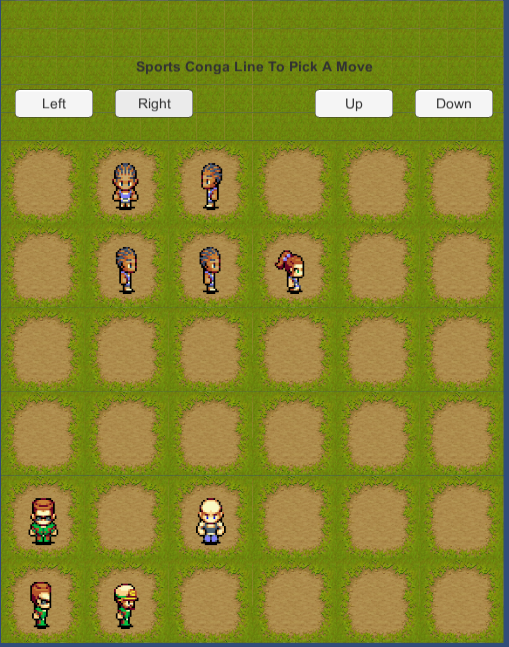 Each turn of the game the players simultaneously pick a direction that they want their line to travel in. Every 3 turns a new recruit is dropped into the war/dance zone, ready to party with which ever line gets to them first. 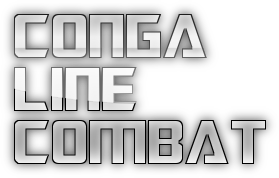 Both Conga lines move simultaneously. Last Conga line standing wins. If a Conga line leaves the room it loses. If a line congas into itself or the other line it loses. If both Conga lines lose at the same time, the winner is the longest line. ...and that's Conga Line Combat, Good Luck! Growth: As the game progresses more recruits join each line.